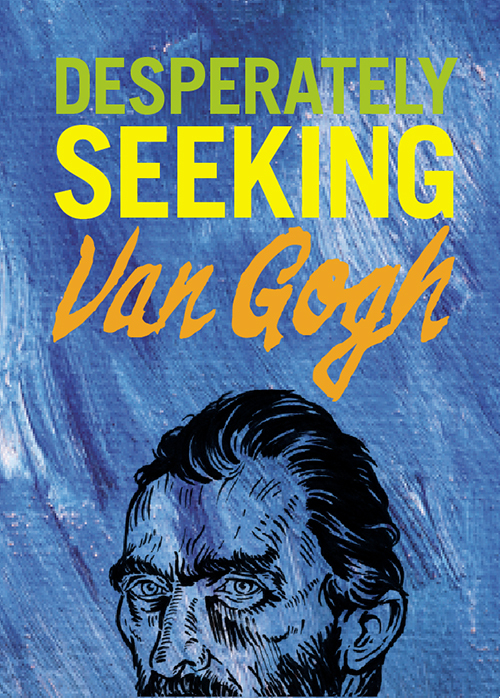 4 9/10" x 6 9/10"
Desperately Seeking Van Gogh adopts a very refreshing new way of looking at the life of this most brilliant of artists: by following in his footsteps around all the locations which meant the most to him and which most influenced his work. We capture the mood of bourgeois respectability of his mother’s family in The Hague, the fields and dyke banks of the sleepy provincial town of Zundert on the Dutch/Belgian border where he grew up, to the boarding schools which he hated. We go with Vincent to The Hague where he was an apprentice art dealer, to his time in England and his dreams of maybe escap- ing to South America. Brussels, Antwerp, Paris and then to all the detailed locations in Provence, and many more. Every spread features great imagery – both photographic and of Vincent’s works – and a fascinating commentary. For any enthusiast or art history student of Vincent, this title is a must. For anyone new to his work, it is a very accessible, friendly and insightful way to look at his life.